Solar energy is a valuable, clean and renewable energy source that can help us reduce CO2 emissions, so extremely important for climate change. In the first case, the heat is obtained thanks to the use of solar thermal collectors, while in the second case electricity is obtained through solar panels (also called photovoltaic modules). 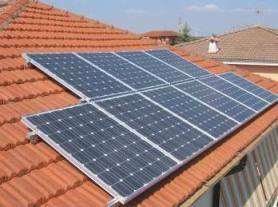 Solar thermal energy and photovoltaic energy are completely different for both the technology involved and their applications. Solar energy depends on a very important factor: solar radiation, which may be direct (arriving directly from the sun, without any reflection or refraction), diffuse or reflected. The power level of solar radiation changes with the time of the day, atmospheric conditions and latitude. Every single area has different levels of solar radiation, but it is possible to establish uniform zones and mean values.